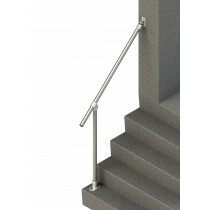 These handrails mount to a wall or post on one end and on the floor on the other end. This handrail attaches to a wall or post on one end and an upright on the other end. 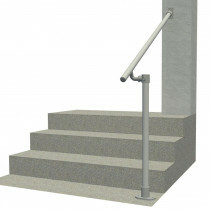 This handrail can be used at any angle and has an open end. This handrail attaches to a wall or post on one end and an upright on the other end. 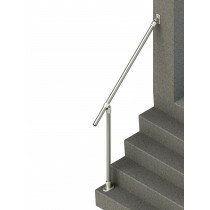 This handrail can be used at standard stair angles and has an open end. This handrail attaches to a wall or post on one end and an upright on the other end. 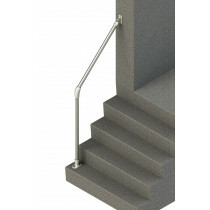 This handrail can be used at standard stair angles and terminates into the end post. This handrail attaches to a wall or post on one end and an upright on the other end. It can be used at any angle and has an open end.